High on a hill in rural New Zealand, this project called for NZ native plants to withstand the heavy clay soils and strong winds. 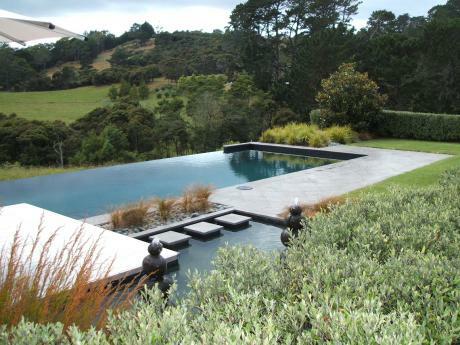 The pool with lawns in close proximity relates to the rural nature of the site with a strong visual link from the house. Planting around the "floating" deck creates a sheltered poolside area.